Sharon Jaynes is an international inspirational speaker and Bible teacher for women’s conferences and events. She is also the author of several books, including Becoming the Woman of His Dreams and Becoming Spiritually Beautiful. Sharon and her husband, Steve, have one grown son, Steven, and live in North Carolina. 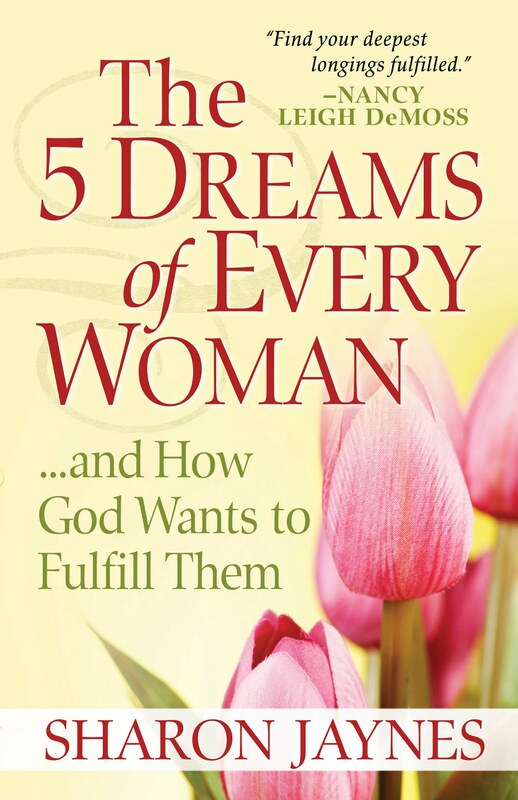 Popular author Sharon Jaynes shares powerful stories alongside biblical, compassionate guidance to help restore women’s hope in love, marriage, motherhood, purpose, and more. Readers will learn to give their longings and brokenness to God and delight in His renewal and remarkable dreams for them. Study questions included. Once upon a time, not so very long ago or far away, a baby girl was born to parents who could not keep her. While neither parent was willing to release her for adoption, neither was able to care for her. So while the legal system shuffled her case back and forth, the baby girl grew into a toddler in a foster home. Her care was adequate. Her physical needs were met, and she never went hungry. Her clothes, though not new, were never dirty. Her toys, though not her own, were always sufficient. This little girl was not mistreated or abused, and yet in her heart was a hollow space. She desperately wanted what she had never had—a mommy and a daddy of her very own. Only a few doors down from the foster home lived a kind couple with a teenage son. The little girl needed a family, the family wanted a little girl, and the details of a trying and lengthy adoption were finally settled. And while this little girl received a wonderful mommy and an adoring big brother, it was her daddy and their relationship that was extra special. Ashley was two years old when she entered her daddy’s life. She was thin, pale, and clingy. By the time the adoption was finally complete, she was almost three. Ashley had never seen the ocean, eaten a Happy Meal, or slept in a bed in a room of her own. A few months after the adoption, Ashley traveled to the beach for her first family reunion. She was overwhelmed with excitement and pride. She had received so much so fast, and it was hard to take it all in. Ashley asked everyone she met if they were part of her family. Five years later, tanned, transformed, and confident, Ashley again returned to the annual family reunion. This time she brought a scrapbook of pictures to share with anyone who would sit still long enough to listen. When I was a little girl, my father spent most of his waking hours working at his building supply company, observing construction sites, or socializing with his colleagues and associates. Even though his place of business was only a few blocks from our home, his heart was miles away in a place I could never find. My father didn’t drink alcohol every day, but when he did, it consumed him. Dad was filled with a rage that always seemed to be boiling just beneath the surface of his tough exterior. When he drank, that rage spewed out like hot lava onto those around him. Unfortunately, my mother was the most common target. As a child, many nights I crawled into bed, pulled the covers tightly under my chin or even over my head, and prayed that I would quickly fall asleep to shut out the noise of my parents yelling and fighting. Crashing furniture, smashing glass, and fist upon flesh were common sounds that pierced my little girl nights. Occasionally I’d tiptoe over to my pink ballerina jewelry box, wind up the key in the back, open the lid, and try to focus on the tinkling melody that came from the music box as the dancer twirled with hands overhead. I wanted to be wherever she was…anywhere but at home. I was afraid of my father. Even when he was sober I kept my distance. At the same time, I observed how other daddies cherished their little girls. I saw daddies snuggle their daughters in their laps, hold their hands while walking in the park, or kiss their cheeks as they dropped them off at school in the mornings. Deep in my heart, a dream was birthed. I dreamed that one day I would have a daddy who loved me like that—not because I was pretty or made good grades or could play the piano well, but just because I was his. I dreamed that one day I would be a cherished daughter and the apple of my daddy’s eye. What did the little girls long for? They wanted a daddy to scoop them up in his strong arms. They wanted to plant butterfly kisses on his scruffy face. They wanted to see tears in his eyes when he walked them down their aisle on their wedding day. Little girls and grown women alike long for a father to protect them, help them, guide them, nurture them, and cheer them on through the struggles of life. In the Old Testament, God has many names. He is Elohim, the Creator; El Elyon, God Most High; El Roi, the God who sees; El Shaddai, the All-Sufficient One; Adonai, the Lord; Jehovah, the Self-Existent One; Jehovah-Jireh, the Lord will provide; Jehovah-Rapha, the Lord who heals; Jehovah-Shalom, the Lord is peace; Jehovah-Raah, the Lord my Shepherd; and many more. His covenant name with the people of Israel was I am. In the New Testament, Jesus introduced a new name for God: Father. In the Gospel of John alone, God is referred to as Father at least 120 times. It is the name Jesus referred to more than any other, and the name He invites us to use to address the Creator of the universe. Just stop and think about that for a moment. The God of the universe, who created the heavens and the earth, who always has been and always will be, who is all-knowing, all-powerful, and present everywhere at once—that same God invites you to call Him Abba Father. He invites you to call Him Daddy! When you pray, go into your room, close the door and pray to your Father, who is unseen. Then your Father, who sees what is done in secret, will reward you. And when you pray, do not keep on babbling like pagans, for they think they will be heard because of their many words. Do not be like them, for your Father knows what you need before you ask him. This, then, is how you should pray: “Our Father in heaven, hallowed be your name” (Matthew 6:6-9, emphasis added). J.I. Packer wrote: “For everything that Christ taught, everything that makes the New Testament new and better than the Old, everything that is distinctly Christian as opposed to merely Jewish, is summed up in the knowledge of the fatherhood of God. All other religions demand followers to worship created beings, such as Mohammad or Buddha, but God invites us to crawl up in His lap, become His child, and call Him Father. He said, “I will be a Father to you, and you will be my sons and daughters” (2 Corinthians 6:18, emphasis added). For many, the idea of God being their father may not be a pleasant one. We have a human tendency to project our experiences with our earthly fathers onto our perceptions of the fatherhood of God. Some never knew their earthly fathers, some had abusive fathers, and some were deserted by their fathers. Some had loving, endearing fathers, and some lost their fathers to sickness or catastrophe. Those life experiences tend be the lens through which we view God. Even the best earthly fathers have feet of clay and will disappoint their children. When I was a child, I never had lengthy conversations with my father. As a result, when I became a Christian, it was very difficult for me to have lengthy conversations with my heavenly Father. Prayer was difficult. I had to remove the mask of my earthly father from the face of God. No matter what your past experience with your earthly father has been, your heavenly Father is the perfect parent. He loves you unconditionally, cares for you completely, provides for you unceasingly, trains you tenderly, and welcomes you unreservedly. He will never leave you or forsake you. You are the apple of His eye. One reason Ashley’s story at the beginning of this chapter is so precious to me is because she was adopted by a loving father…so much like you and me. The Bible says we have been adopted into God’s family (Ephesians 1:5). We are His children (1 John 3:1-2). Let’s take a look at how adoption was carried out in Jesus’ day in order to get a better picture of ours. In ancient Rome, fathers chose a child for adoption when they weren’t able to have children of their own. They adopted a son in order to have someone to carry on the family name and inherit their property. It was a legally binding relationship. All ties to the child’s natural family were severed. The child was placed in a new family with the same prestige and privileges as a natural child, including becoming an heir. If the child had any debt, it was immediately canceled. The adoption was a sealed process with many witnesses making it official. In modern times, when it comes to adoption, we tend to think of adopting a baby. However, in biblical times adoption usually took place after the child was older and had proved worthy to carry on the family name. How incredible that our heavenly Father chose us, not because of any merit of our own, but before the beginning of time. He chose us, not because we were worthy, but in spite of the fact that we were not. He chose us in him before the creation of the world to be holy and blameless in his sight. In love he predestined us to be adopted as his sons through Jesus Christ, in accordance with his pleasure and will—to the praise of his glorious grace, which he has freely given us in the One he loves (Ephesians 1:4-6). Our adoption takes place the moment we accept Jesus Christ as our Lord and Savior. Our debt because of sin is canceled (paid in full), and we are placed in God’s family to carry on His name and become an heir. Paul wrote: “You also were included in Christ [in His family] when you heard the word of truth, the gospel of your salvation. Having believed, you were marked in him with a seal, the promised Holy Spirit, who is a deposit guaranteeing our inheritance until the redemption of those who are God’s possession—to the praise of his glory” (Ephesians 1:13-14). Many verses refer to God’s children as “sons.” This does not mean God only has male children or that only male children inherit the kingdom of God. The Hebrew word for “son” does not necessarily mean male offspring. In the Old Testament, the Hebrew word ben can mean male son or children of both genders, male or female. Genesis 1 says that God created man in His own image. Then the writer goes on to say, “Male and female he created them” (Genesis 1:27). As the word “man” can mean male or female humans, the word “son” can mean the male or female offspring of a human. In the New Testament Greek, the word huios is translated “son.” And like the Hebrew word ben, it can mean a male child or it can refer to offspring, both male and female. “In calling believers His sons, God is communicating that believers find their origin in Him (as offspring) and bear the same nature He does.” The apostle Paul wrote to the Galatians, “You are all sons of God through faith in Christ Jesus…There is neither Jew nor Greek, slave nor free, male nor female, for you are all one in Christ Jesus” (Galatians 3:26-28). I grew up singing “Jesus loves me! This I know, for the Bible tells me so,” but I really didn’t believe it. I wasn’t sure God even liked me. It wasn’t until I was much older that I caught a glimpse of His unconditional, unfailing, unlimited love for me. Unfortunately, that same sense of having to perform well to be accepted by people can easily roll over into our relationship with God. We falsely believe we must perform well to be loved and accepted by Him when nothing could be further from the truth. As a result, we strive to obtain something that we already have…God’s unconditional love. Anabel Gillham was a woman who loved God, but she had trouble accepting that God could love her. She knew the Bible verses that talked of God’s unconditional love for her, yet she knew herself and doubted a God who knew her innermost thoughts would approve of her. The root of her problem was how she viewed God and how she believed God viewed her. She knew what kind of God He was. She read Exodus 34:6: “Then the Lord passed by in front of him [Moses] and proclaimed, ‘The Lord, the Lord God, compassionate and gracious, slow to anger, and abounding in loving kindness and truth…’ ” (nasb), but she believed she had to earn that love. Then God used a very special person to help Anabel understand the depths of God’s love for her—her second child, Mason David Gillham, who had a profound mental disability. Let’s let Anabel tell you her story as she relates it in her book, The Confident Woman. Mace could sing one song with great gusto, just one: “Jesus Loves Me.” He would throw his head back and hold on to the first “Yes” in the chorus just as long as he could, and then he would get tickled and almost fall out of his chair. I can still hear him giggle when I think back on those days that seem so distant and so far away. How poignant that memory is to me. What I could not comprehend, what I could not accept, was that Jesus could love Mason’s mother, Anabel. You see, I believed that in order for a person to accept me, to love me, I had to perform for him. My standard for getting love was performance based, so I “performed” constantly, perfectly. In fact, I did not allow anyone to see me when I was not performing perfectly. I never had any close friends because I was convinced that if a person ever really got to know me, he wouldn’t like me. Anabel carried that belief into her relationship with God, and she was horrified to learn that He knew her every thought, let alone everything she said or did (Psalm 139:1-4). She realized God knew her completely. He saw when she wasn’t “performing perfectly.” Because of her perception of performance-based acceptance, she concluded without a doubt that God could not possibly love her, that He could never like what He saw in her. Mace could never have performed for his parents’ love, or for anyone’s love, but oh, how they loved him. His condition deteriorated to such a degree—and so rapidly—that they had to place him in an institution when he was very young. His parents enrolled him in the Enid State School for Mentally Handicapped Children. They regularly drove the 120 miles to see him, but they occasionally also brought him home for a visit. On one particular visit, Mace had been with them since Thursday evening. On the following Saturday afternoon God painted a vivid picture of His great love for Anabel through Mason. She was standing at the kitchen sink, dreading what lay ahead. In just a few moments, she would be gathering Mace’s things together and taking him back to “his house.” She had done this many times before—and it was never easy—but today God had something in mind that would change her life forever. As she was washing the dishes, Mason was sitting in his chair watching her, or at least he was looking at her. That’s when it began. Her emotions were spinning. Her stomach started tumbling with the familiar sickening thoughts of packing up Mason’s toys and clothes and taking him away again. She stopped washing the dishes and went down on her knees in front of Mace. Anabel took his dirty little hands in hers and tried desperately to reach him. He just stared. He couldn’t understand; he didn’t comprehend. She stood up and started on the dishes again, but that didn’t last long. This sense of urgency—almost a panic—came over her, and once more she dried her hands and knelt in front of her precious little boy. “I stood up to the sink again,” she continued. “More dishes, more washing, more crying—and thoughts, foreign to my way of thinking, began filtering into my conscious awareness. I believe God spoke to me that day, and this is what He said: Anabel, you don’t look at your son and turn away in disgust because he’s sitting there with saliva drooling out of his mouth; you don’t shake your head, repulsed because he has dinner all over his shirt or because he’s sitting in a dirty, smelly diaper when he ought to be able to take care of himself. Anabel, you don’t reject Mason because all of the dreams you had for him have been destroyed. You don’t reject him because he doesn’t perform for you. You love him, Anabel, just because he is yours. Mason doesn’t willfully reject your love, but you willfully reject Mine. I love you, Anabel, not because you’re neat or attractive, or because you do things well, not because you perform for Me but just because you’re Mine. And, friend, that’s exactly how God feels about you. He loves you just because you are His. The New Testament Greek word for the type of love that God has for us is agape. This is unconditional, unchanging, unfathomable, immeasurable love. Paul wrote, “I am convinced that neither death nor life, neither angels nor demons, neither the present nor the future nor any powers, neither height nor depth, nor anything else in all creation, will be able to separate us from the love of God that is in Christ Jesus our Lord” (Romans 8:38). Can I say that again? Nothing can separate us from the unconditional love of our Father—not even our own messiness and mistakes. This was what I had longed for all my life—to have a daddy who loved me, not because I was pretty or made good grades or behaved like a little lady in public or could play the piano well or hit a baseball out of the park—but just because I was his. Then I heard that gentle whisper I’ve grown to love: “ ‘Though the mountains be shaken and the hills be removed, yet my unfailing love for you will not be shaken nor my covenant of peace be removed,’ says the Lord, who has compassion on you” (Isaiah 54:10). Yes, there is one thing that will never change: God’s unfailing love and care for His children. He is the same yesterday and today and tomorrow (Hebrews 13:8), and on that we can always depend. Solomon tells us that the one thing each of us longs for is unfailing love (Proverbs 19:22). And that is exactly what we have in the love of our heavenly Father. When my son, Steven, came into the world, a love was birthed in my heart that I never thought possible. Elizabeth Stone said it well: “To make a decision to have a child is momentous. It is to decide to have your heart go walking around outside of your body for the rest of your life.” That is how our heavenly Father feels about His children! The beautiful Hebrew word hesed is translated “unfailing love” in Isaiah 54:10. It is often translated loving-kindness, steadfast love, grace, mercy, faithfulness, goodness, and devotion. This word is used 240 times and is considered one of the most important concepts in the vocabulary of the Old Testament. Why? Because God’s unfailing love is one of the most important themes of the entire Bible. It is who He is and what He does (1 John 4:8). Cary and Madeline Rivers read about the overcrowded orphanages in Eastern Europe, and God stirred their hearts to look into adoption. Foreign adoptions are very costly, but God had blessed the couple financially, and the cost was not prohibitive for them. They decided to adopt not one, two, or three, but four children. After eleven months and miles of red tape, the adoption process was complete, and the couple traveled across the ocean to gather their new family. The trip home took 22 hours, so when they arrived at the Atlanta airport for a two-hour layover, the family decided to let the rambunctious boys run around the terminal to work out some of their pent-up energy. Of course, they never let their new sons out of their sight. After a short while, Madeline noticed one of the boys watching a man drinking at a water fountain. Even though the child could not speak English, he seemed to be using his hands and body language to communicate. To Madeline’s horror, the man reached in his pocket and handed her new son a dollar bill. The parents looked in the boy’s pocket and saw that he had ten one-dollar bills! The little boy had no idea of the riches that came with his adoption. Even though he was now part of a family with great wealth, he continued to do what he had done all his life…beg. Oh, dear sister, do you see yourself in the little boy’s eyes? Are you begging for handouts when your daddy owns the “cattle on a thousand hills” (Psalm 50:10)? Are you scavenging for crumbs when your heavenly Father provides everything you need “for life and godliness through our knowledge of him who called us by his own glory and goodness” (2 Peter 1:3)? Are you searching for acceptance and approval from others when God longs to lavish you with His? Are you begging for what is already yours? John wrote: “How great is the love the Father has lavished on us, that we should be called children of God!” (1 John 3:1). To “lavish” is to give freely, profusely, extravagantly, and abundantly. He doesn’t give us everything we want when we want it. No father wants spoiled children. Rather, He gives us everything we need to produce well-behaved children who bear His name well. He is our Provider. One of my favorite people is author and speaker Patsy Clairmont. We were discussing my first book on the telephone one day and trying to set up a time to meet face-to-face when she came to speak at a Women of Faith Conference in my hometown. The day of the conference arrived, and I swam through a sea of women to reach Patsy’s crowded book table. It wasn’t hard to spot her son—a male version of Patsy herself. After proper introductions, Jason and I were off to find his mom. First we passed through heavy mahogany double doors that led to an area called the Crown Room, which was a place for the VIPs who attended professional basketball games and other events. “Oh. Okay then,” the guard said as he put the walkie-talkie back in its holster. He exited the elevator and was off to seek other dangerous Christian women like myself who were attending the conference. In the Old Testament, there is a sense that God was unapproachable because of His holiness and our sinfulness. In the temple a veil separated the Holy of Holies, where God resided, from the other areas of the temple, where the priests attended daily. Only the high priest entered the Holy of Holies once a year on the Day of Atonement. Before he could enter, the priest went through a rigorous ceremonial cleansing process. Bells were hemmed to the bottom of his robe, and a rope was tied around his ankle. When the priest entered the Holy of Holies, the men outside listened for the tinkling bells to make sure he was still alive. If God was not pleased, and the sound of the bells ceased, they pulled out the dead priest by the rope. But in the New Testament all that changed. God was and is still the holy great I am, but we can enter the Holy of Holies with the confidence of a child approaching her daddy. When Jesus died on the cross of Calvary, God tore the veil of the Holy of Holies from top to bottom, inviting all who believe in His Son as Savior and Lord to enter His presence with assurance and confidence. (Mark 15:38). The writer of Hebrews says, “Let us then approach the throne of grace with confidence, so that we may receive mercy and find grace to help us in our time of need” (Hebrews 4:16, emphasis added). Paul reminds us, “In him and through faith in him we may approach God with freedom and confidence (Ephesians 3:12, emphasis added). As a child of God, your Father welcomes you into His presence. Not only that…He longs for you to come. There have been several people in my life who never seem to remember my name. A few of my more popular aliases are Sarah James, Susan James, Shannon James, and Jane Jaynes. Then there are the people who just can’t remember me altogether and don’t even try to fish a name from their memory pool. To tell you the truth, it never has really bothered me. I’m not that good with names, either. But names are important to God. In the Bible, a person’s name revealed a unique quality of his or her character. Moses meant “Drawn out of water.” Ruth meant “woman friend.” Naomi meant “pleasant,” and after her husband died, she changed her name to “Mara,” which meant “bitter.” Her two sons’ names meant “puny” and “pining.” Needless to say, these two fellows weren’t exactly strapping young bucks, and both died at an early age. If a person had an encounter with the living God, many times He changed their name to better fit the experiences He had planned for their futures. God changed Abram’s name to Abraham, Sarai to Sarah, and Saul to Paul. My father accepted Jesus as his Savior when I was 21 years old. The transformation I saw in him was nothing short of miraculous. One of the benefits I received was that he learned how to love me. In my father’s later years, we had a tender and dear relationship, but it was short lived. A few years after Dad committed his life to Christ, I noticed him becoming forgetful. 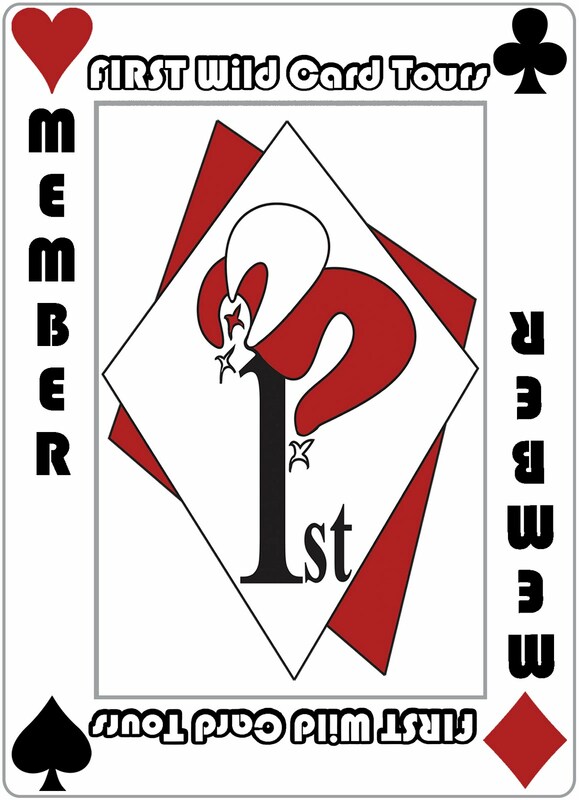 At first it was small matters: forgetting an order at work, misplacing his shoes or keys, not remembering what day it was, drawing a blank on a close friend’s name. Then it progressed to more serious absentminded behavior: forgetting where he parked in a parking deck (and even which parking deck); coming home to take my mother to the market, forgetting he had already taken her an hour before; and becoming confused when taking measurements for cabinets, a task he had been doing for more than 40 years. In 1987 our greatest fears were confirmed. Dad had Alzheimer’s disease. He was 55 years old. My dad had been a tough cookie as a young man. From the time he was 55 to 65, I watched a strapping, quick-witted entrepreneur reduced to a man who could not remember how to speak, button his shirt, or move a spoon from his plate to his mouth. But what pained me the most was the day he forgot my name. I still remember holding his face in my hands and saying, “Daddy, it’s me. Do you know who I am?” But I was only met by a childish grin and eyes that seemed to look straight through me. As God’s child, He has called you by name, and the Bible promises He will never forget it. Your name is engraved on the palm of His hand (Isaiah 49:16). As I mentioned earlier, my earthly father did learn how to love me, but my dream to have a daddy who loved me came true years before that. The moment I accepted Jesus Christ as my Lord and Savior, my adoption was final, and I became a precious, chosen, dearly loved child of God. What a joy to have a Daddy who loves me. It is a dream come true. Like any good father, our heavenly Father has dreams for His daughters, and we’re going to talk more about that as we get deeper into our journey together. However, this is the first step to discovering God’s incredible plan for your life. Just before Jesus began His earthly ministry, He traveled to the Jordan River and was baptized by His cousin John. When Jesus came up out of the water, God said, “This is my Son, whom I love; with him I am well pleased” (Matthew 3:17). Even Jesus needed the assurance that He was God’s dearly loved child before He began to fulfill God’s incredible plan for His life. I truly believe women aren’t moving forward in their God-appointed destiny because they don’t understand who they are, what they have, and where they are as a child of God. In order to fulfill God’s dream for your life, just as Jesus fulfilled God’s plan for His life, we must understand His great love for us. You are God’s daughter, whom He loves. With you He is well pleased. You have a Daddy who loves you. I really liked this book. It was written as if the author was talking directly to you and it hit on everything that I felt as if a woman really did want. Highly recommend it!